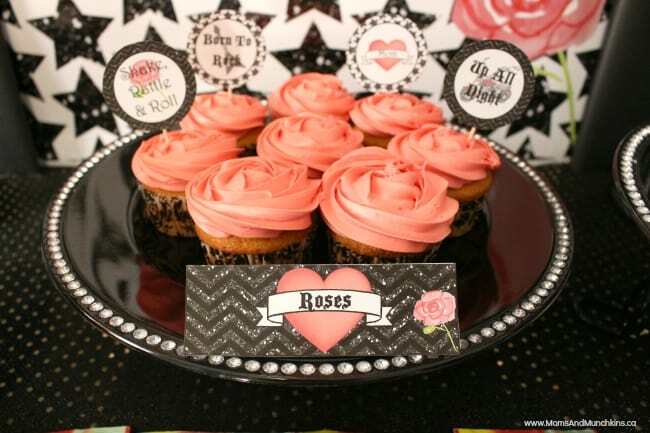 Not every momma-to-be is into the traditional cute baby shower themes like teddy bears, rubber duckies and pink tutus. 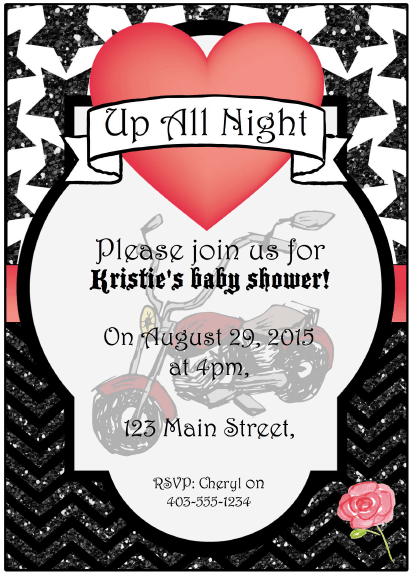 This Rock-a-Bye baby shower is perfect for the mommy who loves music, tattoos, and motorcycles. 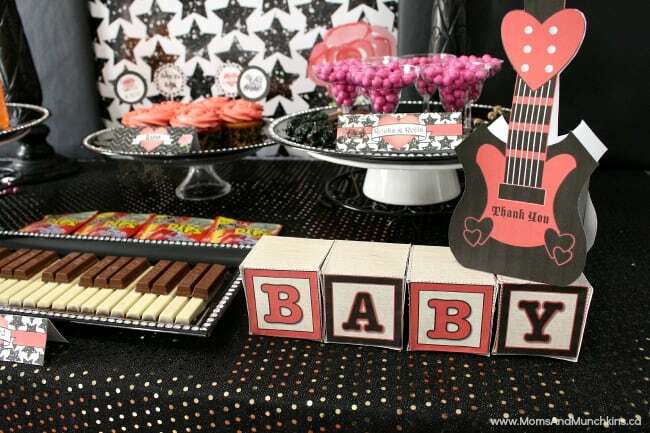 This would be a great theme choice for a music loving couple who is having both guys and girls at the baby shower. 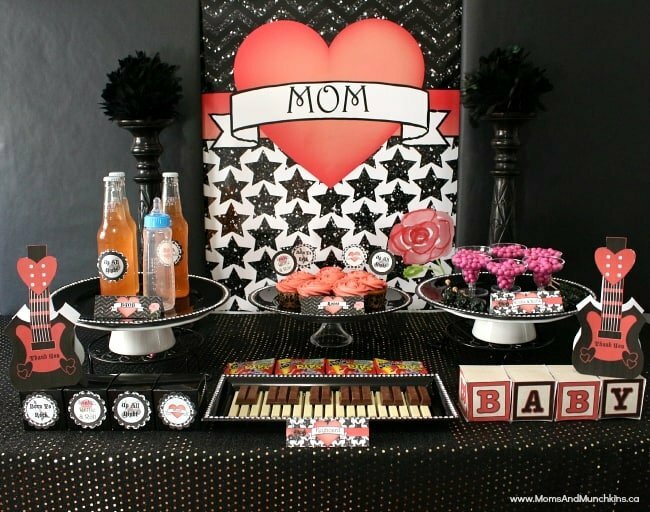 We’re trading in the traditional blues & pinks for this baby shower filled with dark red and black with a little bit of sparkle! 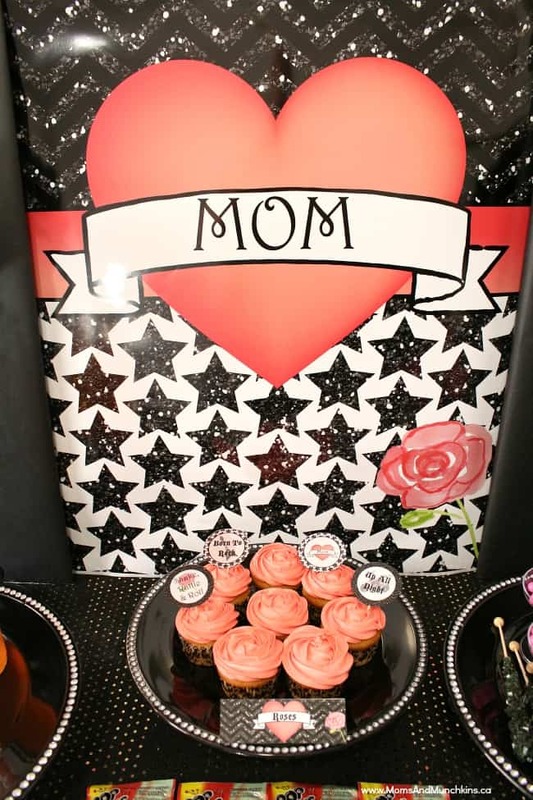 For the backdrop for this party, I had Wendy of Wendy’s Printable Party design a Mom tattoo poster to sit above the party table. This poster is available in the Moms & Munchkins Etsy shop and we can customize it with the mommy-to-be’s name if you’d prefer to personalize it. 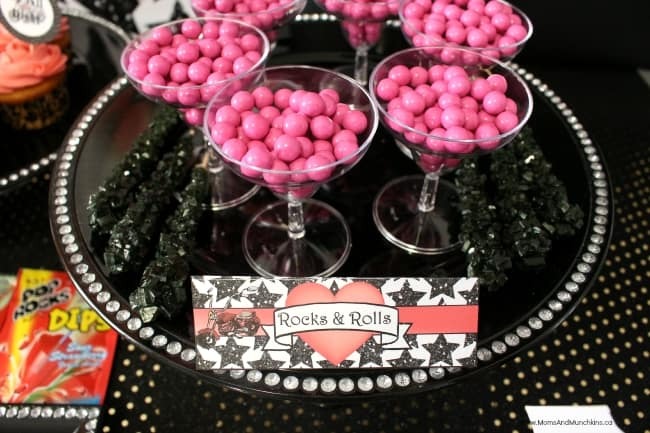 We skipped the traditional pink & baby blue for dark red, black and gold in this party with a little bit of sparkle. 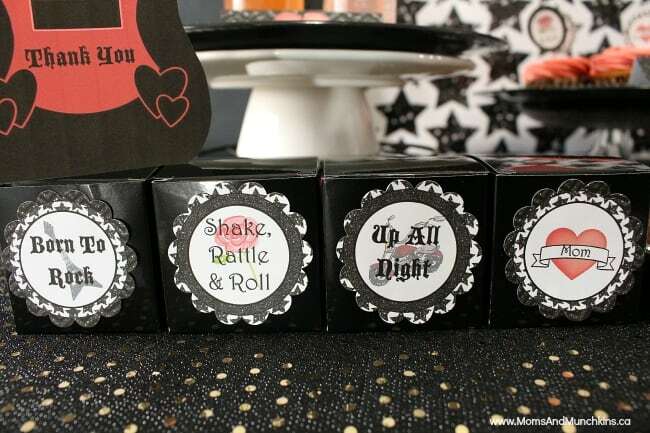 If you have baby alphabet blocks, you can use them to spell something on the table like “born to rock” or the baby’s name (if the mommy-to-be has already announced it). 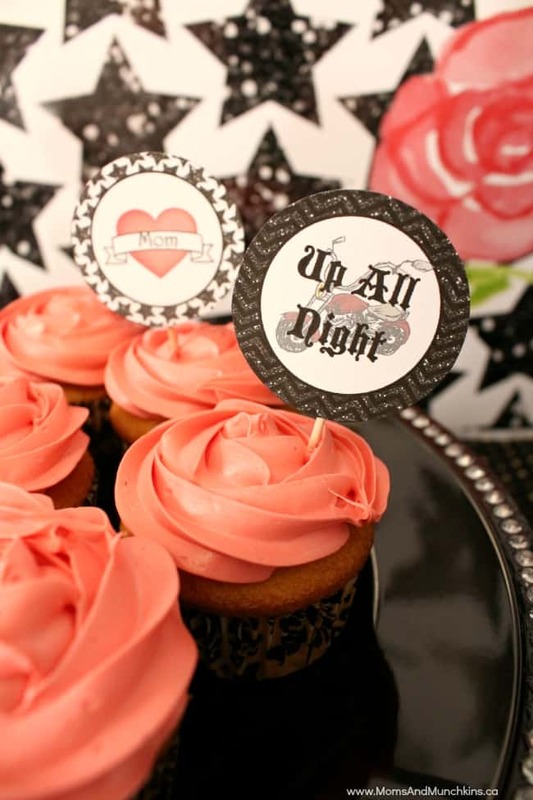 The printable party supplies also include cupcake circles with sayings like “Up All Night”, “Born To Rock”, and “Shake, Rattle & Roll”. For a baby-themed twist, have all the songs you pick have the word “baby” in the title or chorus. 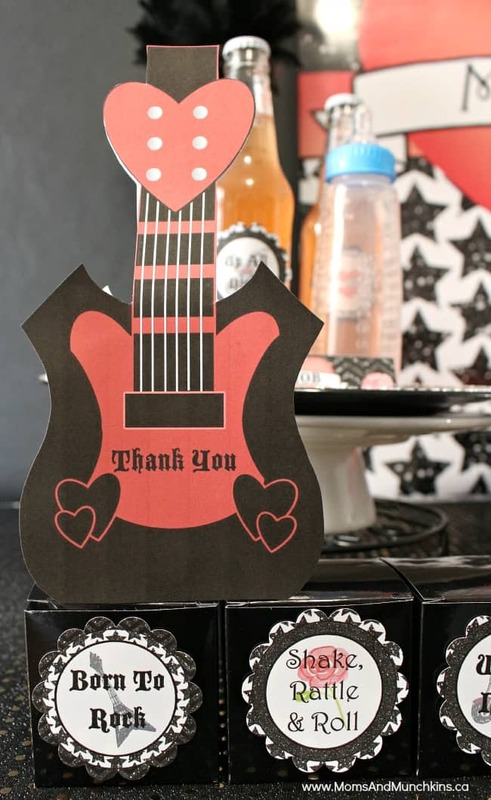 For a music-themed party, unique gift ideas would be something like a small iTunes gift card, silly temporary tattoos, or candies in a guitar-shaped favor box like the one featured in this party by Wendy’s Printable Party. 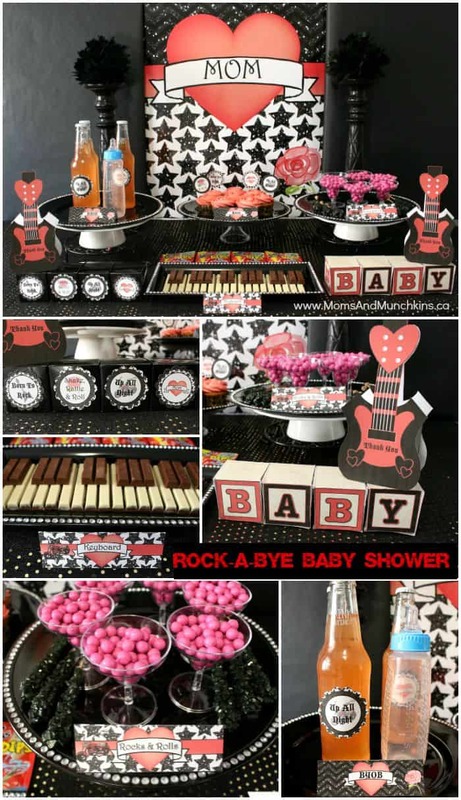 This Rock-a-Bye Baby Shower printable set is available in the Moms & Munchkins Etsy shop. 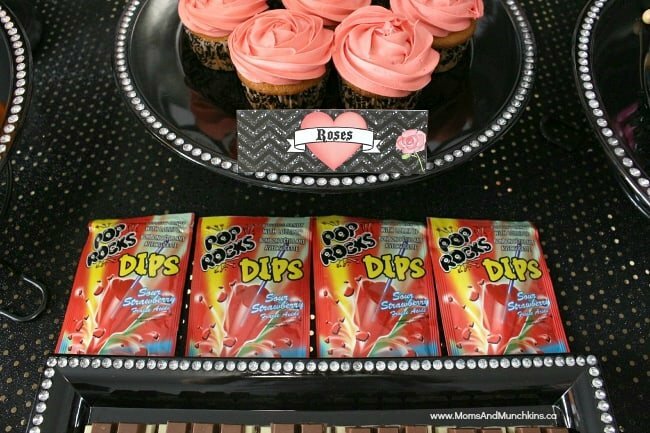 We hope you have a rockin’ good time! Watercolor Flower image credit to San Jones. 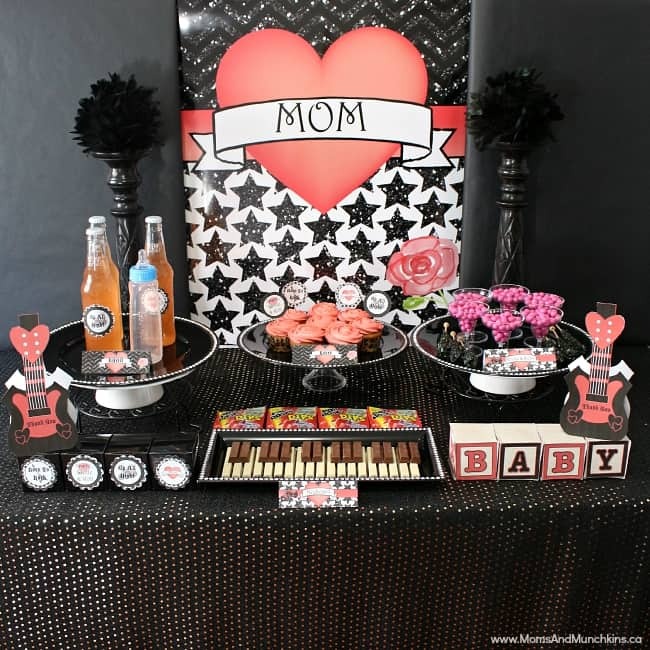 Wow this baby shower looks amazing, pinning it! Thank you so much for sharing! I love it! 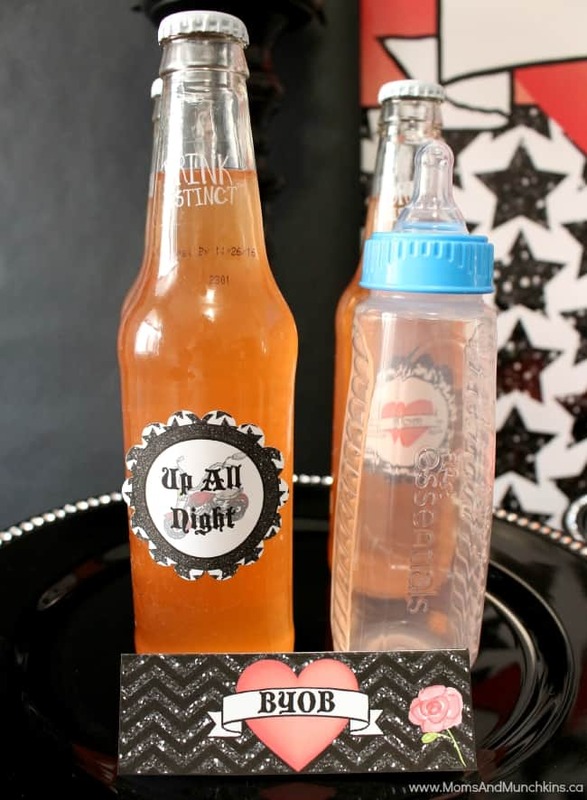 This is so stinkin’ cute! 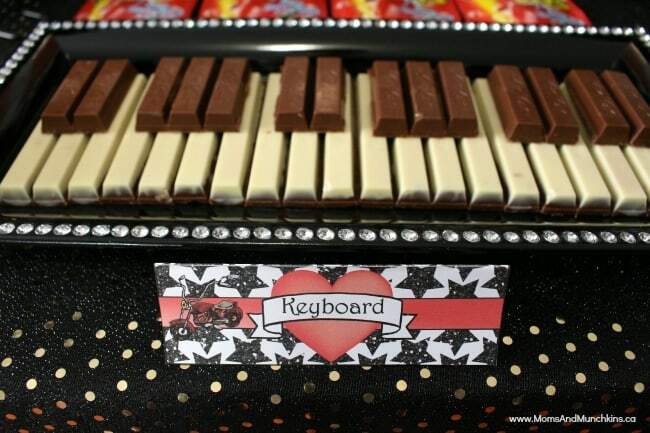 What a great idea to get away from the hum drum blues and pinks. Pinning it for sure!